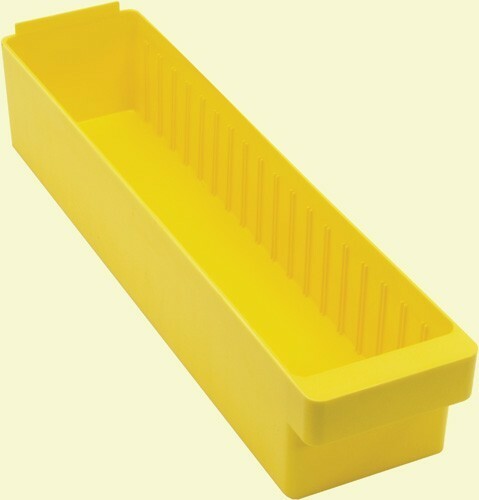 23-7/8"L x 5-9/16"W x 4-5/8"H American manufactured Super Tuff Plastic Drawers. Available in four colors and are designed for efficient organization of heavy parts, supplies, tools or equipment. 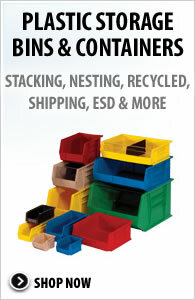 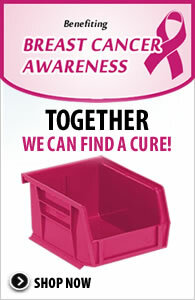 Super Tuff Euro Drawers are injection molded form a virgin grade high impact polystyrene and are virtually unbreakable. With a full 12 gauge wall thickness, these heavy-duty drawers can be used on open and closed shelf units and pick racks. Available in Blue, Yellow, Gray or Red. 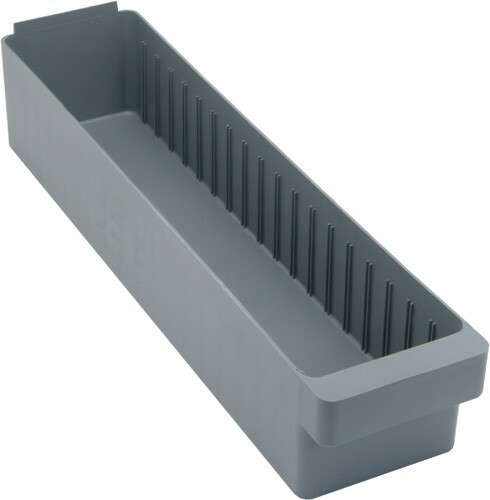 23-7/8" x 5-9/16" x 4-5/8"